Russia’s agriculture ministry lifted its forecast for 2018/19 grain exports to 42 million tonnes at its routine Friday meeting with major traders, who interpreted it as another sign that the risk of export curbs is easing. Chicago and Paris wheat futures fell in quiet pre-holiday trading after the news. Most active wheat futures slid more than 1 percent to a two-week low in Chicago. Speculation that Russia, the world’s largest wheat exporter, could limit exports later in the season that started on July 1 have supported global wheat prices in recent months. However, risks of curbs have eased since September. Russian officials gave the impression at Friday’s meeting that Russia was not planning any grain export curbs, two traders familiar with discussions at the gathering said. The ministry made no mention of any export regulations in its statement. 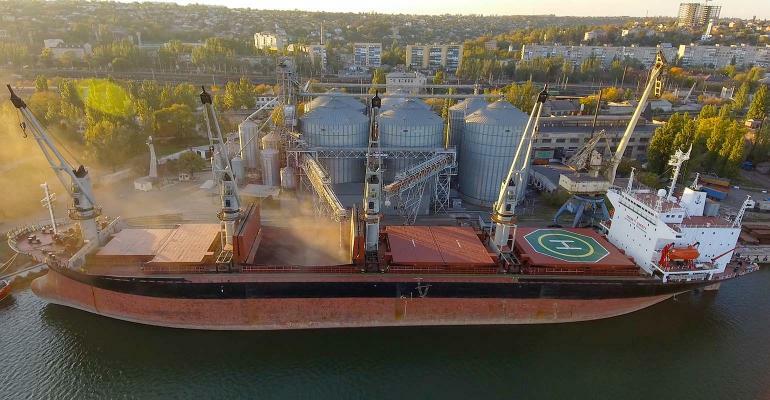 However it said that with 2018/19 grain exports at 42 million tonnes, of which 14 million tonnes will be shipped between January and June, “the Russian market will be provided with grain and sufficient carryover stocks to maintain a stable price”. The grain export figure includes 37 million tonnes of wheat, the ministry said. In the first half of the season – July to December 2018 – exports will total 28 million tonnes, the ministry said. Russia supplied 26.8 million tonnes of grain between July 1 and December 21, up 4 percent year on year. It previously expected Russia to export 38 million-39 million tonnes of grain, including 35 million tonnes of wheat, in the 2018/19 season. The Friday meeting, planned some time ago, happened a day after Russia missed out in a wheat tender in Egypt, the world’s top importer of the grain and the largest buyer of Russian wheat, for the first time in six months. Egypt on Thursday bought 60,000 tonnes of Ukrainian wheat and the same amount of Romanian origin as price offers for Russian wheat were higher and the overall number of Russian offers was reduced compared with previous tenders. “Russian exporters showed yesterday through their limited participation in Egypt’s tender that they know how to regulate themselves to avoid coercive measures,” another European trader said. “Also, estimates of this year’s harvest continue to be revised upwards. The market is going to do its job without state intervention,” he added. The next meeting of the Russian ministry with exporters is scheduled for February.